Live Without Stress shows how to manage your stress in all situations. Manage your mind to reduce your stress, live longer, and enjoy life’s journey. Live Without Stress: How to Enjoy the Journey is a comprehensive stress management book written in simple language demonstrating how to use some simple strategies to significantly reduce stress, promote responsibility, increase effectiveness, improve relationships, and truly enjoy life’s experiences. Whether stress stems from work, parenting, teaching, relationships, work, or a situation that cannot be changed, the book shows how the brain-body connection can be used to reduce and relieve stress. This book is a groundbreaking work that offers readers the right tools they need to beat stress and live richer, healthier, and more fulfilling lives. This stress management book is packed with strategies that will help readers go to the root causes of their stress and eliminate them effectively. In today’s eclectic, fast-paced, and highly competitive culture, it isn’t uncommon to feel weighed down by stress and quite often people who are stressed are hardly aware of the stressors. Marshall helps readers face the reality with tools that allow them to fully understand their stress and offers insights on dealing with it. This book is a probing examination of how to assess and dispense with the stresses of life. In this comparatively short, accessible volume, Marshall takes aim at an omnipresent element of modern existence: stress. Innumerable studies have linked stress to a wide array of health problems, from heart disease to ulcers to depression, and Marshall offers advice based on the idea that stress is largely a person’s own creation. As the book unfolds its road map, it emphasizes three areas. The first are unrealistic or unhelpful assumptions that readers make, which can escalate stress levels. The second are physical aspects that are often key to managing stress—poor posture, poor eating and sleeping habits, lack of exercise, and so on. The third is the motivation of oneself and others. Again and again, the author reiterates that people need not grant circumstances the power to dictate responses—a very useful reminder. As in his other books, Marshall presents his precepts in clear, ringing prose that’s intent on encouraging rather than scolding. Live Without Stress contains a wide-ranging and convincingly sympathetic approach to understanding and dealing with all kinds of stress. 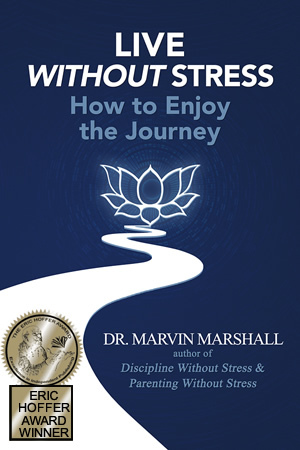 I have read a lot of books and articles on stress and usually come away from them thinking, ‘Yep, I’ve got it!’ Dr. Marvin Marshall’s wonderful book is so powerful because it offers practical strategies for combating stress and…more importantly…for using self-empowerment to create positive outcomes. Buy several copies and share this wise message with your friends and family. In this timely and important work, Dr. Marvin Marshall takes his readers on a journey filled with great and usable content. This book displays an uncanny way of taking well-researched theory and showing his readers incredibly practical applications. The stories and key points simply add more credence to his premise of an enjoyable journey and discarding the stress along the way. If you need both instruction and inspiration about how to decrease the stress and increase the joy of life, you will definitely like this book. 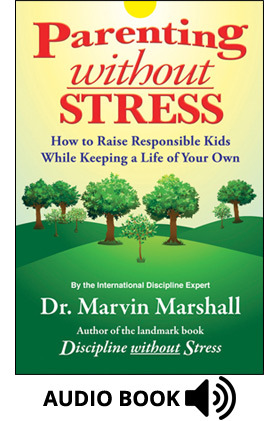 Dr. Marshall addresses the most important element of a stress-free life— taking responsibility for how you approach life. This starts with your attitude and thinking, as he aptly points out. If you find yourself having more stress than you’d like, then read this book immediately! Marvin Marshall is like a fine wine; he keeps getting better with age. His newest book, Live Without Stress, has helped me transition into retirement. It is a must read for people of all ages, full of practical examples and useful tips to get the most out of life. This is a book you will want to keep on your shelf to read and reread through every stage of your life. 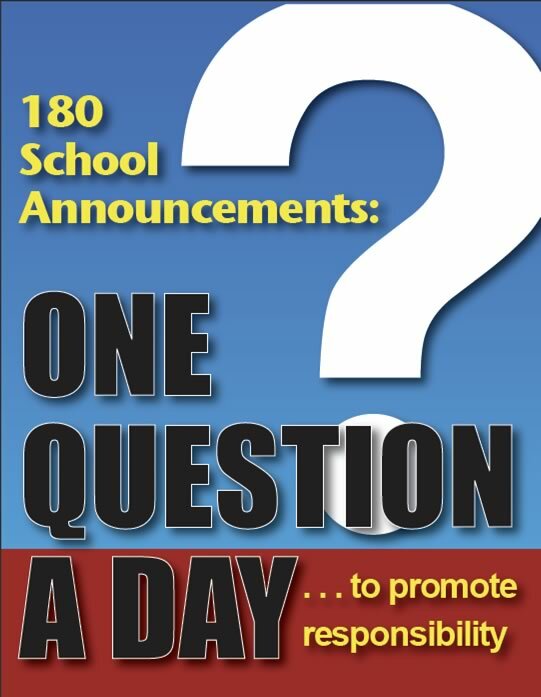 The information in this book is practical, effective, and positive. Being positive is essential in growing responsible, successful, caring children into adults. 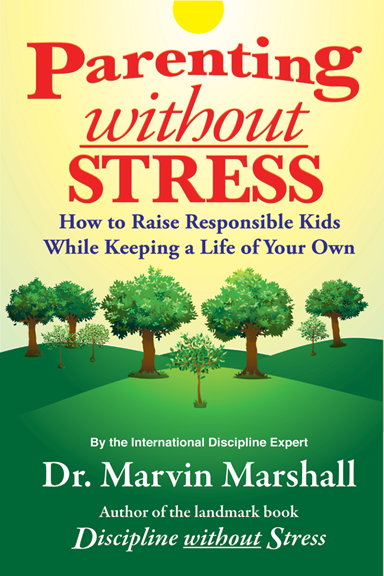 I use Dr. Marshall’s material in my work with families of young children, and his presentation of key points in supporting children and managing the stress of parenting makes the principles possible to implement simply and consistently. Again Marv has conveyed what can be a complex topic with ease, grace and practicality. His knowledge, ideas and experience make for a great read for all that wish to live without stress. A great read from beginning to end, Dr. Marshall teaches how to reduce stress using research-based techniques to be emotionally, mentally, and physically healthier. What a wonderful resource! I know I will refer to it over and over again! Marshall’s advice on living without stress is relevant and actionable for anyone. He doesn’t mince words or soft peddle easy 1-2-3 ideas that never work in the long run. I highly recommend this book! 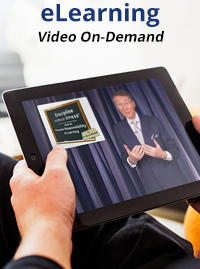 Eric Chester Author of Reviving Work Ethic, On Fire at Work, and Employing Generation Why? If you want to improve your relationships at home, at work, or with friends, read Dr. Marshall’s newest book to gain skills that empower and enrich your ability to reduce your stress. 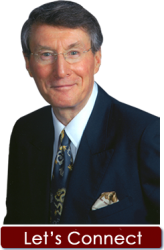 I have implemented changes in our programs to utilize Dr. Marshall’s wisdom and have seen immediate positive results.